Thanks to outstanding contributions from my dedicated colleagues, we have accomplished a good year with a strong finish in the fourth quarter. In 2018, our focus on continual improvement in all dimensions has resulted in a 26 per cent rise in operating profit and increased earnings per share of 31 per cent compared with 2017. In the fourth quarter, we increased operating profit and improved operating margin to 8.4 per cent compared with 7.7 per cent for the corresponding year-earlier period. 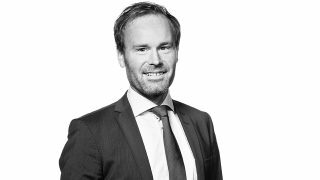 At year-end, the Group’s financial position is healthy and net cash amounted to SEK 44 million. Cash flow, before acquisitions and financial items, was SEK 102 million. In light of this and the positive earnings trend, the Board of Directors is proposing an increase in the regular dividend to SEK 3.00 per share, which is in line with our dividend policy. Our digital offering, in combination with our profound expertise in product development, production optimisation and product information, has experienced favourable demand. The development of Semcon’s digital offering har continued in 2018 in areas such as AI, autonomous solutions and electrification — innovative product development that is less cyclical. The distribution between the different industries is now more balanced and over the past three years we have substantially increased the proportion of our sales to, for example, the manufacturing industry, energy, life science and telecom. At the same time as we have developed our offering to the automotive industry in strategically important areas that require sustained investment regardless of the economic climate. The development of our digital offering and continued high productivity has been a strong contributing factor to the positive performance of the Engineering Services business area, which improved its operating profit by almost 50 per cent compared with last year. The Product Information business area is continuing to recover to its former profit levels with an operating margin of 11.4 per cent and organic growth of 5 per cent in the fourth quarter. Digitisation was also a contributing factor here, with its strong offering to our customers’ aftermarket business. This positive trend is expected to continue in 2019. The Group has undertaken a series of structural efficiency enhancements during the year to move even closer to the customer — work that will continue in 2019. These have already produced results with greater collaboration between business areas, markets and industry specialists. We finished 2018 on a positive note and move into 2019 with a strong commitment to make a difference, for both customers and end users. SEMCON INTERIM REPORT JANUARY-MARCH 2018. If you wish to receive our latest annual report in printed format, please fill out the form below.